LOS ANGELES, MAY 17, 2018 – The Craft & Folk Art Museum (CAFAM) and Farhang Foundation are pleased to announce a call for submissions for the juried exhibition Focus Iran 3: Contemporary Photography and Video. Focus Iran is a series of biennial exhibitions that features photography and video works about Iran. The theme of Focus Iran 3 will be perspectives about contemporary Iranian youth culture. Approximately 40 selected photographs and videos will be displayed in a group exhibition to take place at the Craft & Folk Art Museum from January 27 to May 5, 2019, with a Farhang Foundation VIP reception to take place on February 2 from 6:00 to 9:00 p.m. Cash prizes and a print advertisement in ArtForum will be awarded to the top three selections. Artists 18 years of age and older are invited to apply between June 11 and August 24, 2018. A distinguished panel of jurors will consider each photograph or video submission’s pertinence to the theme of contemporary Iranian youth culture. Only digital format entries will be eligible, with either one photograph or one video entry per artist. All entries will be processed through the free online service CaFÉ at callforentry.org. Entries that are sent directly to the Craft & Folk Art Museum or Farhang Foundation will be disqualified. Cash prizes of $3,000, $2,000 and $1,000 will be awarded, and a print advertisement in ArtForum will be awarded to the top three selections. MEHRDAD AFSARI is a photographer, documentary film director, and video artist based in Tehran, Iran. He has advanced degrees in photography from Tehran University of Art and has been a professor of arts since 2004. He has had fourteen solo exhibitions, including at Mohsen Gallery in Tehran and Etemad Gallery in Dubai, United Arab Emirates. His work has been exhibited internationally, including at Paris Photo in France (2009), Contemporary Istanbul in Turkey (2010), Queens Museum of Art in New York (2011), and PHOTOFAIRS Shanghai in China (2016). He is an honorary member of Iranian Visual Artists Society, and his work is in the collection of the Tehran Museum of Contemporary Art. 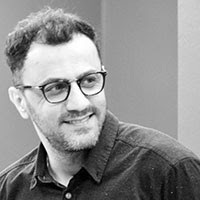 ARIA EGHBAL is a professional painter and founder of Aria Gallery in Tehran, Iran. As an artist, she has been subject of four solo gallery exhibitions and part of over fifty group presentations both inside and outside of Iran. She established Aria Gallery in 1991 and presents contemporary Iranian painters, sculptors, photographers, and jewelry artists, among others. As an educator, she co-founded Mahe-Mehr Cultural and Art Institute to fill a perceived gap in art education, particularly awareness of art theory and criticism. She is also a co-founder of Dena Art Group, which advocates for Iranian women artists in Iran and abroad. 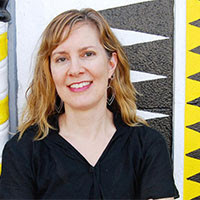 HOLLY JERGER is the exhibitions curator at the Craft & Folk Art Museum (CAFAM) in Los Angeles, CA. She holds a Bachelor of Fine Arts from Ball State University, Indiana and a Master of Fine Arts from the University of Nebraska-Lincoln, where she also taught. She has served on the boards of the Museum Educators of Southern California (MESC) and the Los Angeles Printmaking Society. 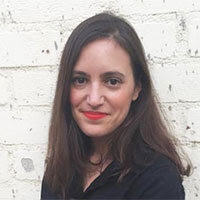 AMANDA MADDOX is associate curator in the Department of Photographs at the J. Paul Getty Museum in Los Angeles, CA. Since 2011, she has organized or co-organized numerous exhibitions at the Getty, including Now Then: Chris Killip and the Making of In Flagrante (2017); Ishiuchi Miyako: Postwar Shadows (2015); Josef Koudelka: Nationality Doubtful (2014); and Japan’s Modern Divide: The Photographs of Hiroshi Hamaya and Kansuke Yamamoto (2013). SEIFOLLAH SAMADIAN is an accomplished Iranian artist, photographer, and cinematographer based in Tehran, Iran. 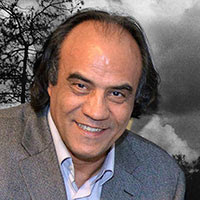 Highly-regarded internationally as an art director with experience working with directors like Martin Scorsese and Abbas Kiarostami, Samadian came to the forefront of critical attention in a wave of Iranian photography in the 1980s that gained momentum during the years following the Iran-Iraq War. He is the founding director of the Annual Image Visual Arts Festival and Tassvir Festival, and publisher and editor of the magazine Tassvir. He has taught photojournalism at Tehran University and Islamic Azad University in Iran. 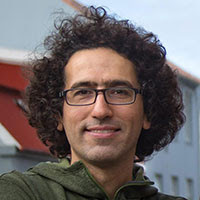 BABAK TAFRESHI is an Iranian photographer, science journalist, and amateur astronomer based in Boston, MA. He is the creator and director of The World at Night (TWAN), an international program in which photographers from around the world capture images of night skies as seen above notable landmarks of the planet. As a contributing photographer to National Geographic, he is a leading artist in nightscape imaging by merging art, culture, and science. He serves as a member of the board of advisors of Astronomers Without Borders and is a photo ambassador for European Southern Observatory. For his global contribution to night sky photography, he received the 2009 Lennart Nilsson Award, the world’s most recognized award for scientific photography at the time. MARYAM ZANDI is an Iranian documentary photographer and author known for her photographs of the Iranian Revolution. A graduate of Tehran University’s School of Law and Political Science, she began pursuing photography in 1970. 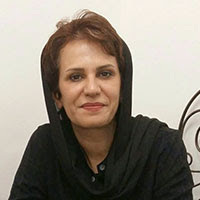 She has held prominent photography positions with Iranian national television and radio, as well as the cultural magazine Tamasha. She has published over ten books of photography, most notably The Revolution of Iran 79 and Chehreh-ha, a series of portraits of contemporary Iranian cultural figures. She is the founder and first chairperson of the National Iranian Photographers’ Society (NIPS).